Choosing the location for a startup’s operational headquarters can have a lasting impact on a company’s future. 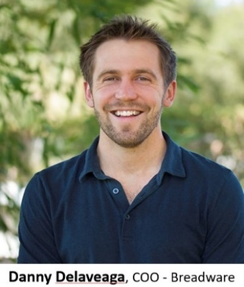 Founded in 2015 in Seattle, tech company Breadware made the move to Reno in March of this year after closing a brief chapter spent in Santa Barbara’s wine country in Santa Ynez and having previously considered Los Angeles, Seattle, and Boulder. 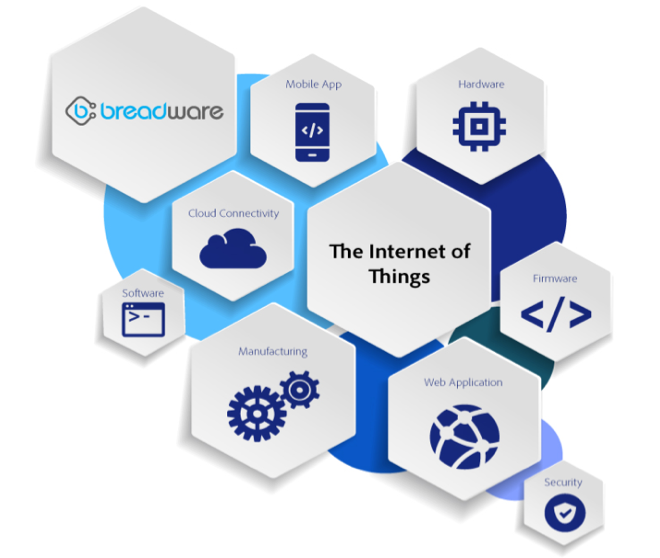 Breadware has created a unique hardware and software service that can be used by entrepreneurs and businesses seeking to develop products in the Internet of Things (IoT) space, and currently employs ten fulltime staff comprised of Reno and satellite locations across Australia, Asia, and America. For Breadware, moving its headquarters to Reno went far beyond simply the economic benefits. The initial tour of the community included Reno’s Midtown District, visiting several local businesses and tech start-ups, of which Bombora and Capstak were also recent transplants, as well as visiting the UNR Innevation Center which Breadware now calls home. Additionally, the company closed a seed investment round that included two local investment groups, Ozmen Ventures and WaterShed Growth Ventures, as well as several other local individual angel investors. The various layers of the Breadware IoT stack. Breadware found Reno to be a centrally located hub close to the Bay Area, but with lower business costs, tax structures, and cost of living. 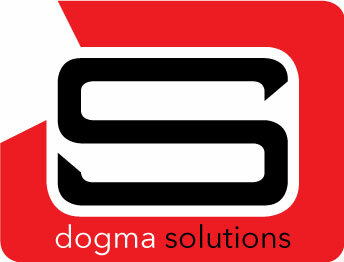 Significant shipping cost advantages also played into their decision. 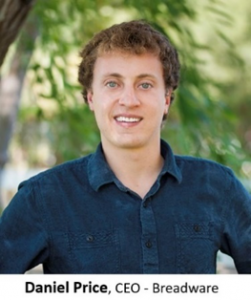 Above core business elements alone, however, the story of Reno is one about how quickly and deeply you can become both connected and integrated. “We realized during that first trip that it was a community that we wanted to be a part of and wanted to help grow,” said Daniel. What’s making all this possible for new businesses in Reno is a shift in mentality when speaking about the “new” Reno and the place Reno is making for itself on the map. Recent business transplants are finding in Reno that they can make a real contribution to the community and that they aren’t being lost in the shuffle. Reno provides many of the benefits of Silicon Valley but without the cultural stigma attached to it. While Reno is growing quickly, it remains small enough that an individual or a company can be truly impactful. 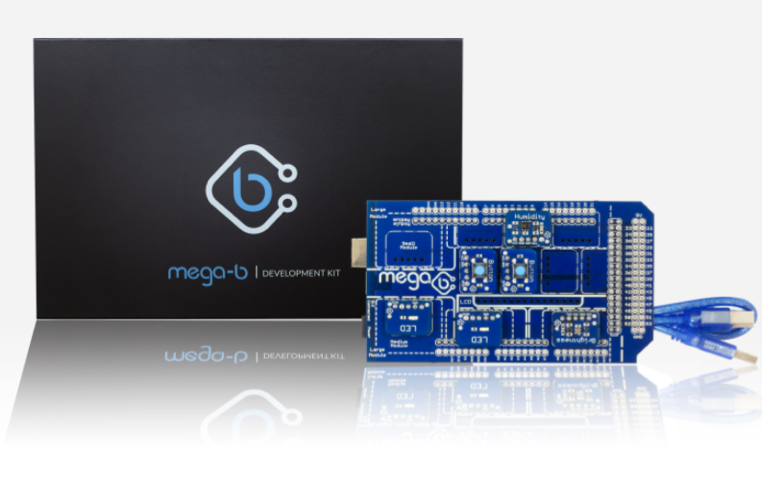 Breadware Mega-B Development Kit – A versatile prototyping kit with everything you need to develop and test your Internet of Things Minimally for a viable product. Welcome to the new Reno.